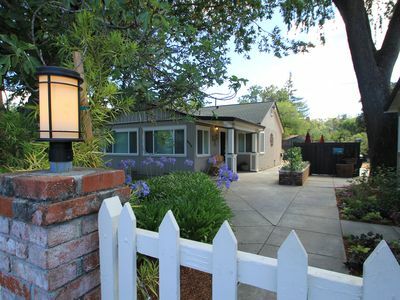 “Glen Ellen Dream” is located in the heart of the Sonoma Wine Country in the quintessential village of Glen Ellen. 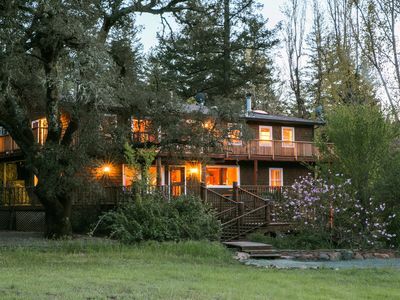 In a peaceful setting boarding the Sonoma Creek on ¾ of an acre, this 2000 plus square foot single story house is perfect for your group of six. 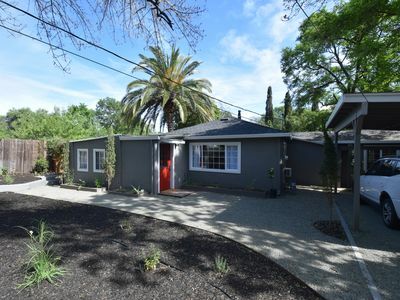 You will be ideally situated between the Historic Town Plaza of Sonoma to the south and to the north the Valley of the Moon Road with its world class wineries and the small towns of Kenwood and trendy Healdsburg. Head west and you can visit Bodega Bay and its famous oyster farms. 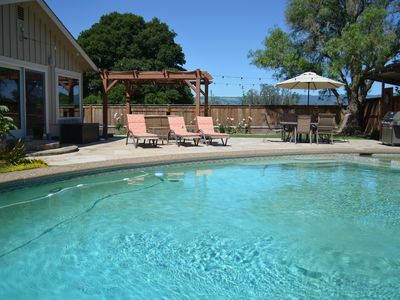 You are perfectly located to enjoy all that Sonoma Wine County has to offer. 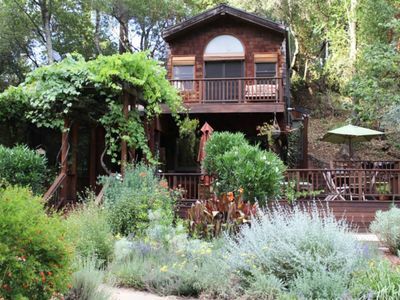 The town of Glen Ellen, which is within a half mile, boasts great restaurants, small artistic shops and the locals favorite Glen Ellen Village Market offering all the gourmet food, wine, and local cheeses you desire. Stop by here to get what you need for a picnic or to cook you own meals. Or, you may want to pick up some prepared foods for a simple dinner to go with those wines you bought on your tasting excursions. Whether your plans are for a few days, a week or a month, you’ll find everything you need to make your stay perfect. 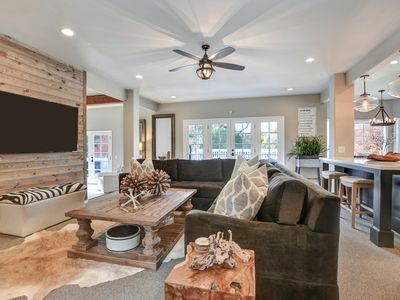 The comfortably decorated house has been furnished from Room and Board. 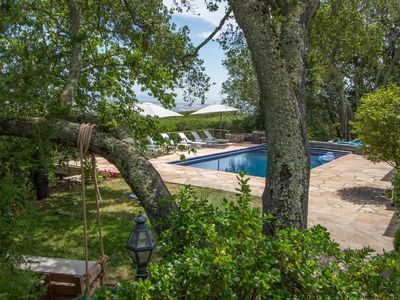 The spacious three king bed bedrooms and two stunning bathrooms easily support up to six people. 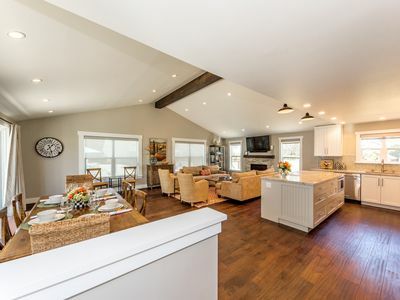 The living room area has beautiful vaulted ceiling and views through large windows that highlight the outside area and bring lots of light into the house. 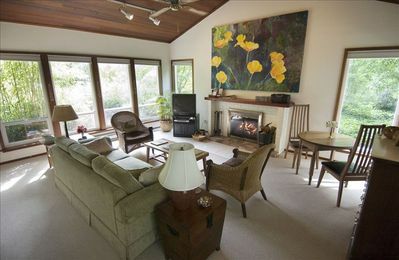 Sit around the gas fireplace and enjoy conversations or watch a movie on the large screen TV. There are several wonderful places to dine on the property. 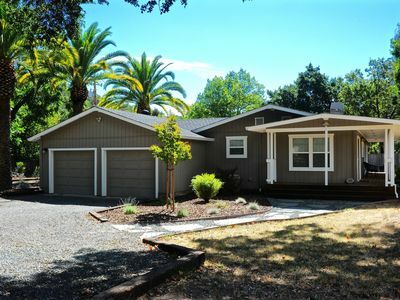 You can decide to have a cup of coffee in the eat-in kitchen, enjoy a meal in the large dining room or take advantage of the pleasant Sonoma weather and eat outside in the separate dining area with its large table and grill. 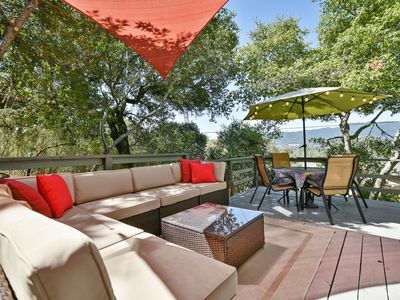 There is still one more deck that offers a comfortable place to have that cup of coffee or sit and enjoy a glass of wine and some local goodies you bought during your day of site seeing and to contemplate your next day activities. The newly updated kitchen is fully stocked with everything you will need for your chefs to show off their culinary skills. The wine refrigerator offers the perfect place to keep those wines you will have for dinner. Your rental comes equipped with all linens, towels, supplies and some basics in the kitchen. WiFi and washer and dryer are on the property. You may also use the secure two car garage. If you decide to say up to two weeks we do require a mid-stay cleaning. 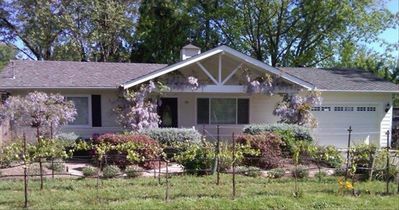 We are registered with the County of Sonoma as a vacation rental. A limited number of guests are allowed to visit with you, however you will need written permission from the owner/manager. If you require a chef, please asks for a list of approved chefs for this property. Please note that although we do love pets, we do not allow pets of any kind at Glen Ellen Dream. 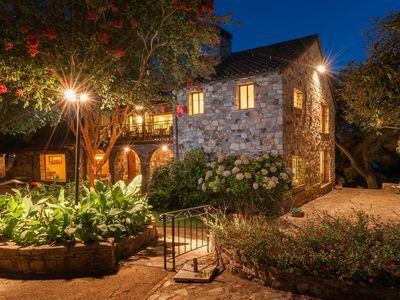 Part of the rich history of one of the most well-known families in wine country. 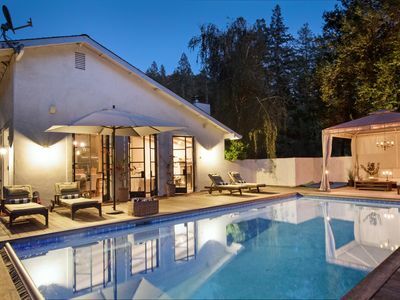 Beautiful Wine Country Retreat w/ New Pool & Kitchen, Game Room Barn & Views! 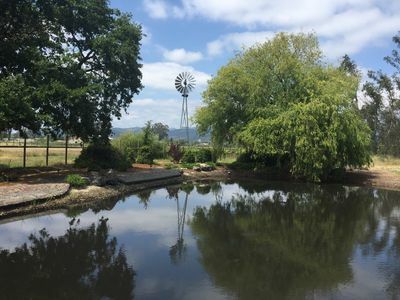 4 acres of wine country living with pond, windmill, vineyards, pool & more..